This is an archival copy of the Visualization Group's web page 1998 to 2017. 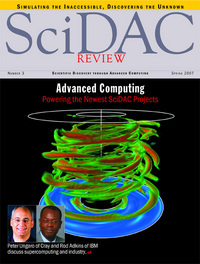 For current information, please vist our group's new web page. Blastoderm expression patterns of gt, rho, fkh, ftz, kr, and kni from the Berkeley Drosophila Transcription Network Project's publicly available, digital blastoderm atlas. Using the visualization tool PointCloudXplore, the patterns can be visualized in 3D on a virtual embryo, which can be rotated to any angle, or the embryo surface can be unrolled to reveal the entire pattern in a 2D view as shown here. This view can also be rotated and height maps of the relative expression for each gene added. Visualization generated by David Knowles (LBNL) using PointCloudXplore. 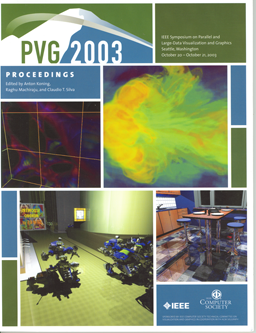 PointCloudXplore has been developed by O. Rübel and G. H. Weber (LBNL Vis Group/NERSC Analytics). More information. 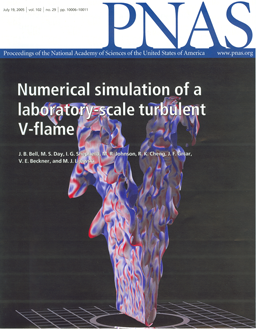 Simulations that ran on the Franklin Cray XT at NERSC captured the detailed structure of a lean hydrogen flame on a laboratory-scale low-swirl burner. 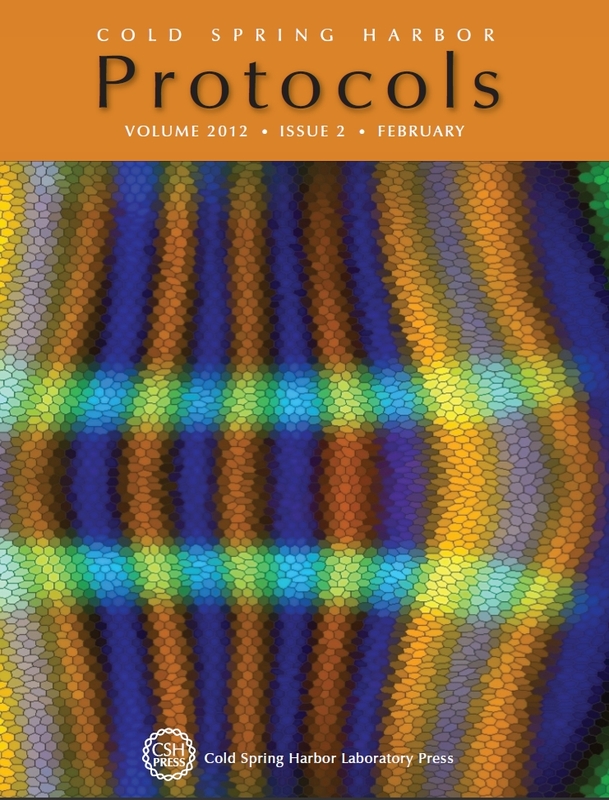 Image courtesy of M. Day, LBNL. Visualization generated using VisIt by M. Day and A. Nonaka (LBNL CCSE) with help by G. H. Weber (LBNL Vis Group/NERSC Analytics). More information. 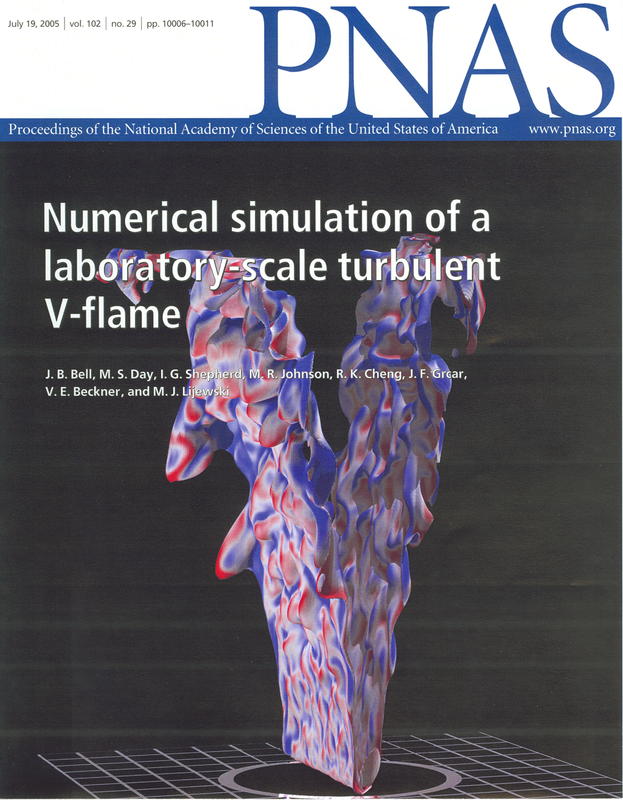 Massively parallel VORPAL simulations of LOASIS (LBNL) experiments show the structure of a plasma density wave, or wake (blue), driven by an intense laser pulse traveling upward through the image. 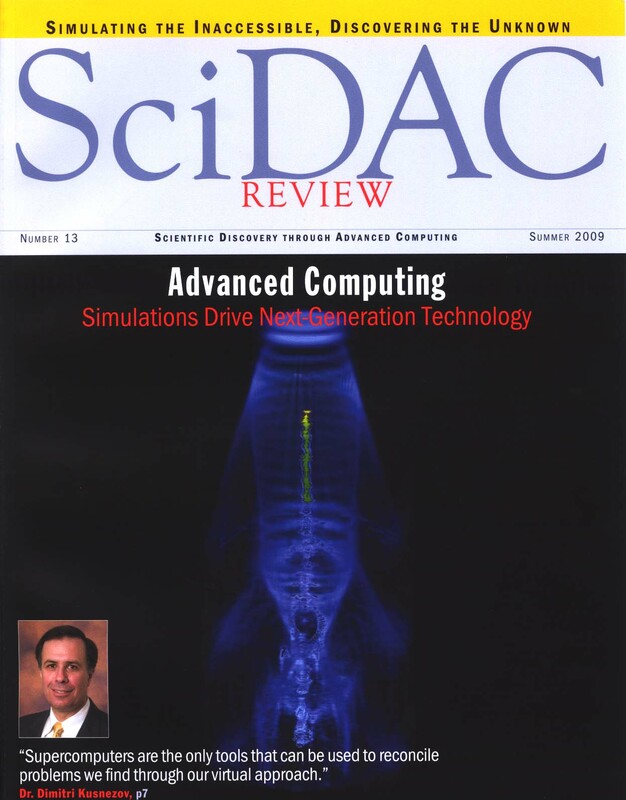 Simulation by C.G.R. Geddes (LBNL). VisIt visualization by G.H. Weber and C.G.R. Geddes (LBNL). More information. Spin density of the spheroidene molecule obtained by the diffusion Monte Carlo method. 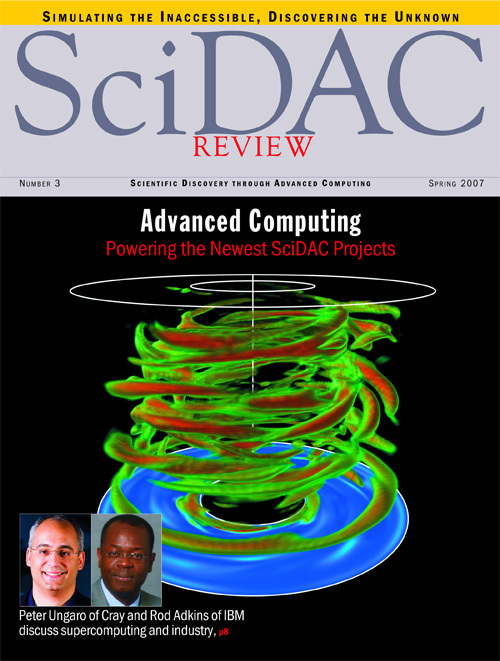 Figure created by Cristina Siegerist, Alan Aspuru-Guzik, Romelia Salomon-Ferrer, Brian Austin, and W. A. Lester, Jr., for the Department of Energy's Innovative and Novel Computational Impact on Theory and Experiment (INCITE) program. (More information). 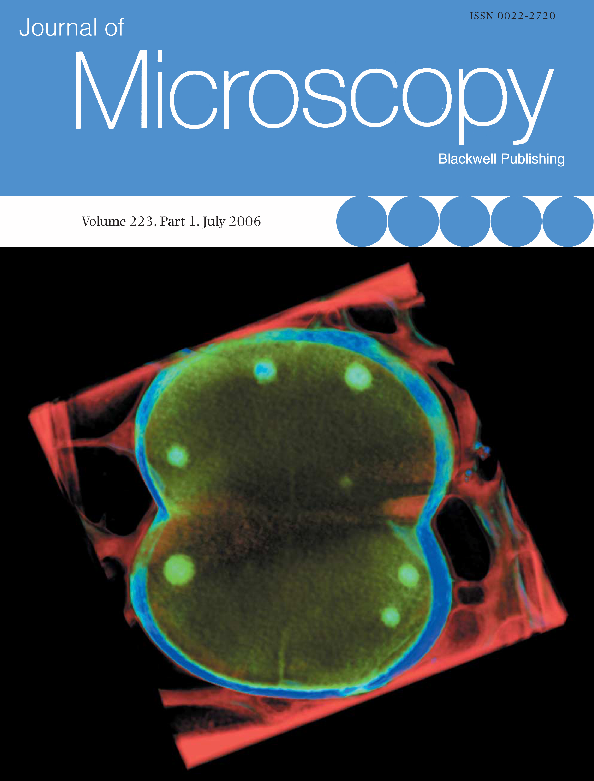 This image created by Cristina Siegerist and Luis Comolli appeared as the cover of the Journal of Microscopy, July 2006 - Vol. 223 Issue 1, for the article "Characterization of intact subcellular bodies in whole bacteria by cryo-electron tomography and spectroscopic imaging, L. R. Comolli, M. Kundmann, K. H. Downing." 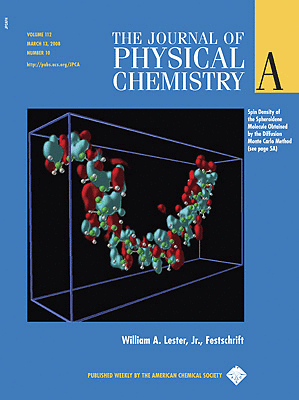 This image created by Cristina Siegerist and Rohini Lochan appeared as the cover of Physical Chemistry Chemical Physics, 2006, vol 8, #12, 1357 - 1370 for the article "Computational studies of molecular hydrogen binding affinities: The role of dispersion forces, electrostatics, and orbital interactions" , Rohini C. Lochan and Martin Head-Gordon. The upper right image was produced by Bethel's distributed memory parallel sort-first rendering application. 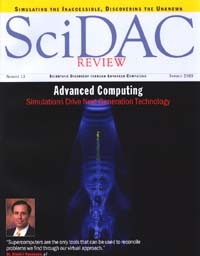 This image, which appeared on the 24 Dec 1999 cover of Science magazine, shows visualization of a simulation that computes a solution to the ionization of a hydrogen atom by a collision with an electron. 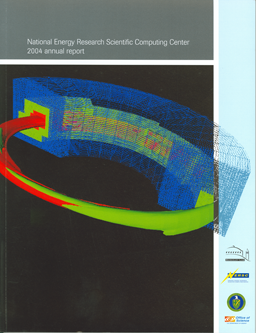 The computation was performed at NERSC, and the visualization performed by the LBNL/NERSC Visualization Group. More information. 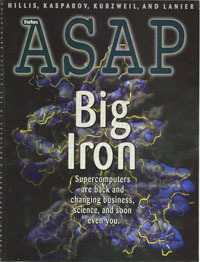 This image, which appeared on the cover of Forbes ASAP magazine in 1998, shows the "data fusion" resulting from visualization of simulated and theoretical protein models. Using high performance visualization tools and Virtual Reality interfaces, we explore model rectification and comparison. More information. 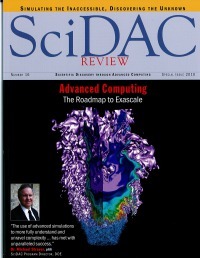 Ken Downing, UC Berkeley and LBNL. While this image didn't adorn the cover of the Fall 1997 edition of the Berkeley Lab Research Review, it was the cover for a flyer published by the lab and handed out at trade shows. 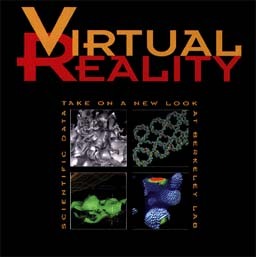 This image adorns the pages of an article about the Visualization Group's efforts in advancing scientific data understanding by combining interactive scientific visualization and Virtual Reality.